The San Jamar C2210C Euro EZ-Fit® cup dispenser fits in a 47⁄8-inch-diameter cutout in countertops. 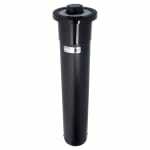 The tube measures 231⁄4 inches long and is made of heavy-duty plastic for impact resistance. Cups made of foam, paper, or plastic can be used in this dispenser. A single cup is dispensed at a time to help reduce waste. 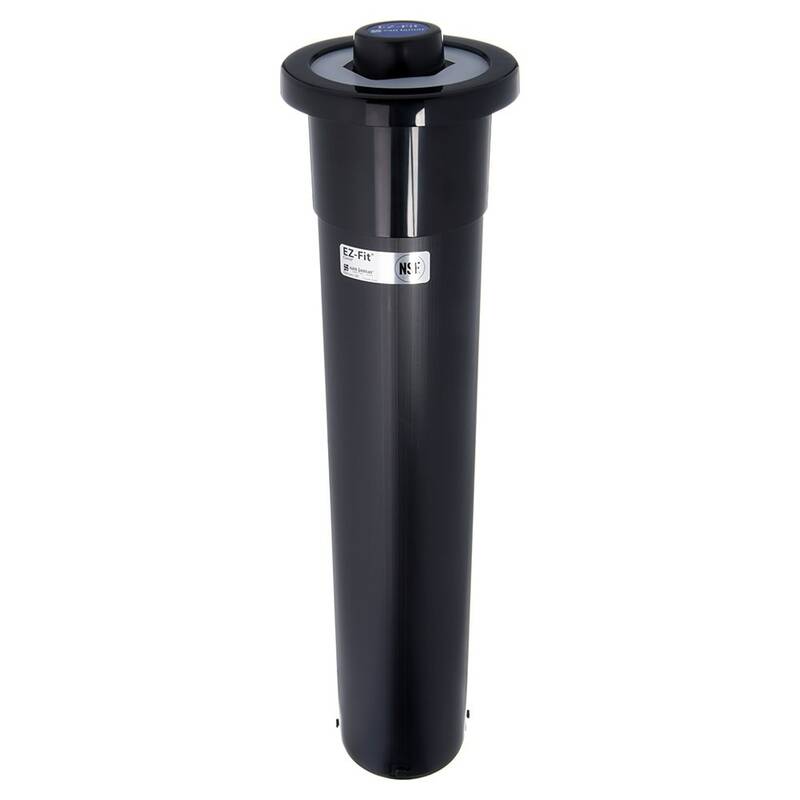 The San Jamar C2210C Euro EZ-Fit cup dispenser can hold 6- to 24-ounce cups with rim diameters ranging from 27⁄8 to 37⁄8 inches. Accepts cups with rim dia. of 27⁄8-37⁄8 in. Euro EZ-Fit Cup Dispenser, counter mount, (4) pre-cut gaskets fit 6 to 24 oz. paper / plastic / foam cups with rim diameter of 4-7/8", vertical or horizontal mount, 23" L tube, high impact plastic, NSF. Typically ships in 14 days.